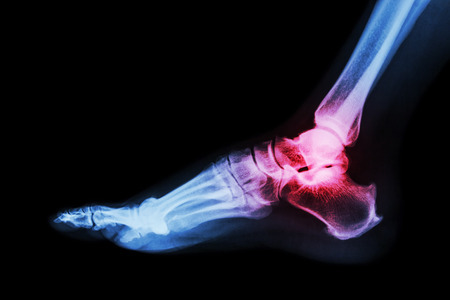 Heel spurs happen when ligaments in the foot become stressed or severely strained. This happens because the tissue that joins the heel and ball of the foot become overextended. Heel spurs begin as growths in the heel bone because of calcium deposits that progress when the plantar fascia is pulled away from the heel. The layer of tissue that encompasses the heel bone can become worn out and produce this condition. Shoes make the difference with heel spurs and contributing factors include being obese, wearing poorly fitting shoes, a misaligned heel or arthritis. You must do something about your heel spurs because ignoring the problem can cause severe pain. Use anti-inflammatories to reduce swelling. Utilize ice to alleviate inflammation. Try compression to reduce pain. Place padding on the heel so that your heel bone can reduce its exposure to friction forces. These can help promote healing. Always wear correctly fitting shoes. Place orthotics in your shoes to maximize healing since they can help redistribute pressure away from the heel. Physical therapy can also assist with stimulating muscles in the foot. If conservative treatment methods are not successful, surgical intervention will be required. The use of supportive devices such as casts will be required after surgery to isolate the heel and help it to heal. Contact us at Palm Beach Orthopaedic Institute, at any one of our offices in West Palm Beach, Jupiter, Wellington and Palm Beach Gardens, Florida. Our podiatrist, John Schilero, DPM, can help to ease the pain of your heel spurs and approach it with thoughtful treatment methods that can help prevent it from forming again in the future. So, please make an appointment by calling our office at 561-694-7776 EXT. 41 and check out our Patient Education section to learn more about this and other foot and ankle conditions so that you can take the proper precautions to increase the longevity of your feet by avoiding unnecessary complications.